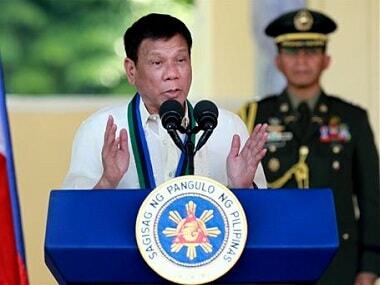 Manila: Philippine President Rodrigo Duterte has said he will have his son killed if drug trafficking allegations against the younger politician are true, and that the police who carry out the hit will be protected from prosecution. Paolo Duterte, 42, this month appeared before a senate inquiry to deny accusations made by an opposition lawmaker he was a member of a Chinese triad who helped smuggle in a huge shipment of crystal methamphetamine from China. President Duterte did not refer to the allegations specifically but reiterated his statement from last year’s election campaign that none of his children were involved in drugs, but they would face the harshest punishment if they were. 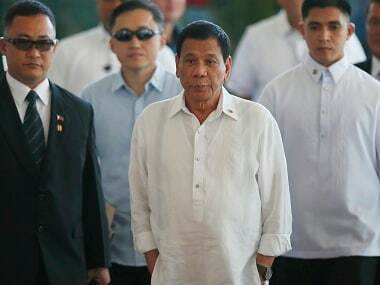 “I said before my order was: ‘If I have children who are into drugs, kill them so people will not have anything to say’,” Duterte said in a speech on Wednesday night before government workers at the presidential palace in Manila. “So I told Pulong (Paolo’s nickname) ‘My order is to kill you if you are caught. And I will protect the police who kill you, if it is true’,” he said. 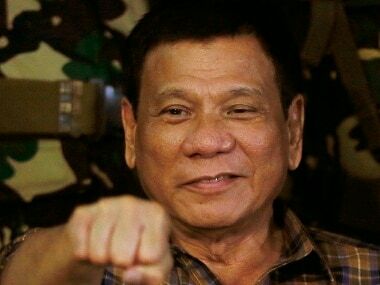 Duterte, 72, won the presidential elections on a brutal law-and-order platform in which he promised an unprecedented campaign to eradicate illegal drugs in society by killing up to 100,000 traffickers and addicts. Since he assumed office in the middle of last year, police have reported killing more than 3,800 people in anti-drug operations while thousands of others have been murdered in unexplained circumstances. Duterte has as president said he would be “happy to slaughter” three million drug addicts, and described children shot dead in the drug war as “collateral damage”. But he has also repeatedly insisted he has never instructed police to do anything illegal, and that they must only kill in self-defence. 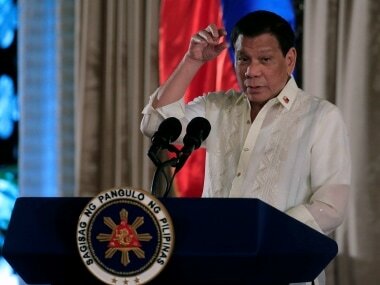 Duterte’s aides have cautioned journalists not to believe everything the president says, sometimes describing his comments as “merely rhetoric” or “hyperbole”. Some opposition lawmakers and other Duterte critics allege he and his family have long been involved in corrupt activities dating back to the president’s two-decade reign as mayor of the southern city of Davao. 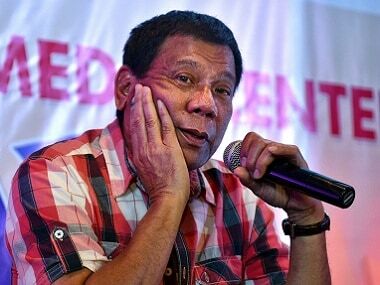 Duterte denies all allegations of corruption, and insists he is an anti-graft crusader who lives a humble lifestyle. In this month’s senate hearing, the opposition lawmaker said Paolo Duterte, who is vice mayor of Davao, and the president’s son-in-law were involved in a criminal syndicate called the “Davao Group”. The pair denied any wrongdoing.